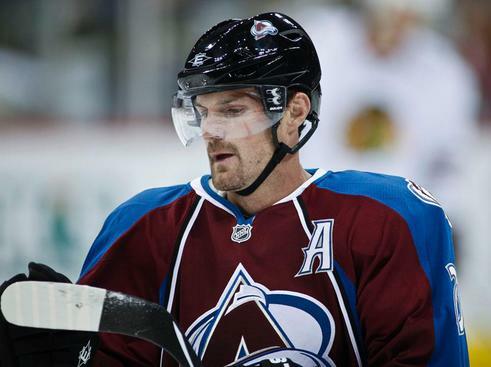 The Colorado Avalanche have named right wing Milan Hejduk the third captain in their team history. He is filling the spot of former captain, Adam Foote, who retired at the end of last season. This was a great decision for the Avalanche. Hejduk is now 35 years old and has gone through a lot in his career, both ups and downs. Milan Hejduk ranks in the top five in franchise history for goals, power play goals, overtime goals, assists, points, and games played. He won the Stanley Cup with them in 2001. The Avalanche have a very young core of talented players including Matt Duchene, Gabriel Landeskog, Erik Johnson, and Semyon Varlamov. Hejduk will be able to connect with these players and mold them into all-stars. The Avalanche might be young but are ready to do some damage in the Western Conference. They are currently sitting 12th in the conference but only two points out of the playoff picture. Expect Varlamov to backstop a trip to the playoffs where they might be able to turn some heads and pull off a series victory or two. This entry was posted in News, Trades, & Signings and tagged Adam Foot, Colorado Avalanche, Erik Johnson, Gabriel Landeskog, Joe Sacco, Matt Duchene, Milan Hejduk, Semyon Varlamov. Bookmark the permalink.